Track Days? You Know It! A shallow start, I know. But while beauty is usually subjective, I’m not sure anyone out there can find the E46 to be nothing but timeless; even though the oldest ones are now 20 years old, it certainly doesn’t look like a 20 year old design. The E46 has aged very well, and I know for sure it’s going to be a classic. Design aside, looks are extremely important; after all, the first thing people notice/know about you is your appearance. Why do you think people spend thousands on suits made in Italy when they’re going to networking events when they could just pick up a pair of jeans and a tee shirt? Now, for you younger guys, this is especially important. Imagine this: it’s Valentine’s day, and you asked that girl you like out to dinner; she accepts. When you show up to her house, do you want take her to dinner in a Civic or in a BMW? What do you think she’ll appreciate being seen in (and being inside of) more? Even when you’re not going out on a date and are instead hanging with friends, they’ll be much more impressed when you show up in your BMW – and they’ll think that you’re richer than you actually are when you tell them you bought it with your own money, and not daddy’s money. I, however, disagree: every day you can read about some kid who bought a car that’s much faster and who, as we petrolheads like to say, “runs out of talent” – at the best case, only cars get hurt, and not too badly. I won’t discuss what the worst case can look like. Luckily, you get Dynamic Stability Control standard; so even if you do run out of talent, the car will automatically cut power/apply brakes to keep you on the road. Another nice part of the E46 325i is that you get 184hp, which is plenty to start with. That makes it plenty quick in a straight line (BMW says the 0-60 is done in 6.7s for the 5 Speed, 7.2 for Steptronic; however, BMW, like Porsche, is very conservative to say the least). Of course, what really matters are the corners, and the E46 excels in them with a kind of magic that you have to experience to believe – and mind you, this is with the stock suspension setup. The steering is so good that it’s still talked about and revered even today. Brakes are appropriate in stock form – with enough braking power to quickly bring you to a halt, with no fading in regular conditions. And finally, using the few grand you saved over getting a 330i, you can get yourself some super sticky summer tires to yank you around corners faster – and more petrol so you can drive more and get better at it, because practice makes perfect. 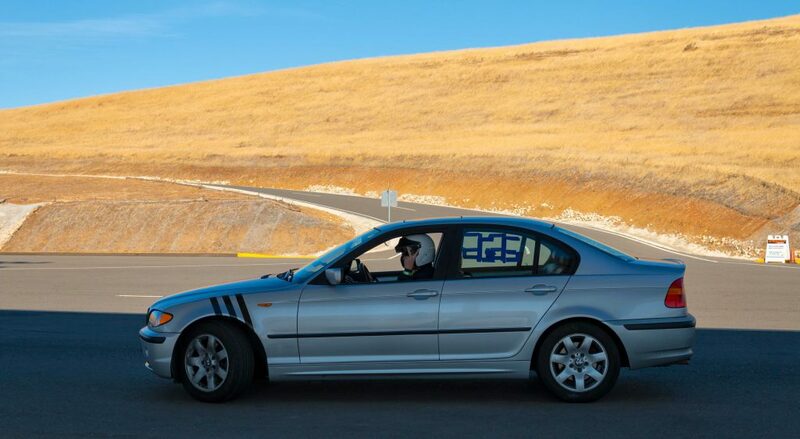 Sure, you won’t be the quickest car around the track in stock form, but the E46 325i is a great beginner’s track car. Try to take care of its Achilles Heel first, if you can. If you can’t drop the subframe for the upgrade, just don’t sustain 6,000 RPM for long periods of time; there’s no power up there anyways so I have doubt you’ll be doing that. The stock suspension is a bit slow for track work, so you’ll quickly learn how to load it in advance of corners to get the maximum grip out of it. The 50/50 weight distribution is ideal, and the stock calipers with some street/track pads will bring you to a stop in a very rapid pace. Dynamic Stability Control is also a nice thing to have when you do push yourself beyond your limits; it gently manhandles you back to a safe path. Anything after this point will be more on your tires and your skill than lack of outright power. While newer cars of all sorts have more stuff in them, it turns out that most people simply don’t care about any of that extra stuff. The E46, optioned with the Premium Package (almost all cars will have this package, no worries) has every single useful doodad that you can want, such as powered seats with memory, rain sensing wipers that work, auto dimming rearview mirror, and a moonroof. Of course, all E46s come with smart features such as four way auto up and auto down windows (which to my shock isn’t a standard feature on every car, even today), an onboard computer that can tell you things like how many miles until the next service, and more standard things such as outside temperature, average fuel economy, etc. Any electronic option that your E46 is missing can be easily added because each one either included a feature or was pre-wired for it; for example, my E46 lacked the OEM alarm, but is already wired for it – all I had to do is get the three pieces of the alarm, plug/bolt them in, and then use the PA Soft BMW Scanner to tell the car it now has the alarm – and now I have a fully functional OEM alarm. Easy. Furthermore, using the PA Soft BMW Scanner, you can edit/program other functions of the car, such as automatic door locking when moving, auditory beeps, and other features. The best part about the E46 is that it’s so practical and yet so fun: need to take five people on a road trip at high speeds? Just need to cruise around town in a comfortable, no-nonsense car? It can do that, and it can do a whole lot more. They’re also quite discreet, allowing you to blend into the crowd on demand. The trunk is more than large enough for a family of five to go on a road trip – if you pack correctly, mind you. 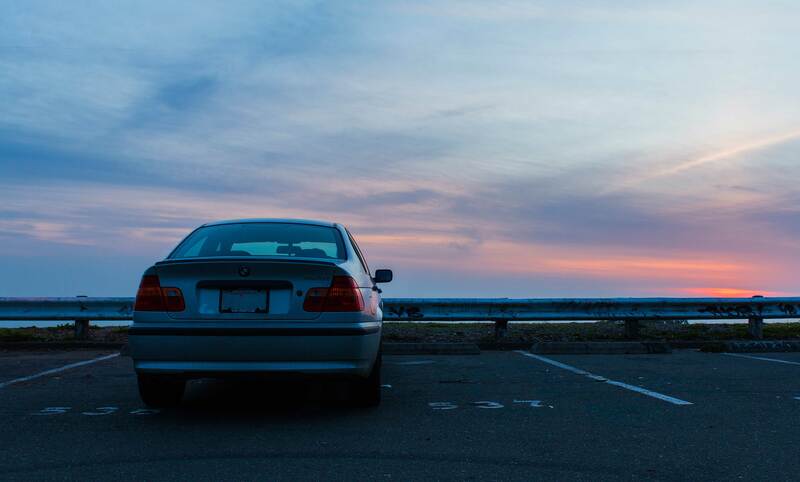 Unlike what most people say about German cars, maintaining your E46 isn’t very hard; in fact, I’d say its about as hard as any other car, and for the most part doesn’t require specialized tools to work on. If you have a metric socket set and a torx socket set, you should be good to go. It’s the last of the mechanical 3-Series, so you don’t need fancy computers to diagnose and fix problems. Because of how popular these cars are, you can find out how to do anything on the internet with just a quick Google search. Unlike a Honda Civic or Toyota Corolla – both of which are very similar in price to the E46 – your new BMW is made to last with quality German engineering. The M54 engine is bulletproof with basic maintenance. Of course, that just means it’s a durable machine – what makes it a companion is simply just how fun it is to own and drive. You’ll find yourself launching at every stoplight and going on 12am drives for fun, often. You’ll want to tinker with it and make it ever better; you’ll want to take it to the race track, where you’ll want to learn how to be a better driver. And don’t just take my word for it – Richard Hammond of Top Gear and Grand Tour fame agrees with me that the E46 is just perfect. Read this buyer’s guide, the wiki, and then go to CL to change your life.